YOUR HELP IS NEEDED TODAY to solicit support for a bill is that is on its way to committees the week of March 19. Wine shipments sent direct to consumers (DTC) from out of state do not incur any state sales tax. This puts Minnesota Wineries and retailers at a competitive disadvantage to out of state wineries and wine clubs. In addition to the lack of taxation, shipments are also not required to be reported or tracked in any way — law states that a consumer may not accept more than two cases of wine, but without tracking there is no way to enforce the law. Minnesota is one of only 6 states in the nation that does not require licensing and reporting of out-of-state wines that are shipped in. The remaining 35 states require it. Bill “HF1831” puts Minnesota on par with the majority of our nation by having DTC shipments of wine tracked, and taxed. The proceeds would be directed to the Minnesota Department of Agriculture, for the establishment of a “Minnesota Grape and Wine Council”. This wine council will be charged with promotion, education and development of the grape and wine industry through grants and promotional programs. The council may recommend funds for extension agents to help improve the industry as well as consumer awareness events. Michigan, Missouri, Iowa and New York have similar wine councils, and the sales of their state-made wines are skyrocketing — Iowa is now surpassing Minnesota in local wine sales as a direct result of the development of a state wine council. The economic impact of Minnesota grape and wine industry is approximately $80 million dollars. In other same size states such as Missouri the economic impact is $1.7 billion. Minnesota is missing the opportunity to become a major player like other states have become. Much of Missouri’s economic impact is based off of secondary and tertiary business indirectly related to the wineries, such as the hospitality and tourism businesses. When wine regions within a state start to develop, hotels, restaurants, entertainment, gas stations and other tourism related business thrive as well. As wineries grow, they become more dependent on retailers to sell their products which benefits municipals around the state. When wineries grow there is a need for more vineyards. Growth in vineyards help drive growth in farm supply business around the state as well as rural labor. Currently Minnesota wine accounts for less than 1% of the wine consumed in the state compared to Missouri (11%) and Michigan (12%) — both of whom have established wine councils. It’s time to close the loopholes so that Minnesota can compete with other states in the Midwest and the nation. Call and email your legislators — both house representatives and senators — and ask them to support “HF1831”. I am writing to request your support for bill HF1831. I am concerned that the state of Minnesota does not track or tax direct to consumer (DTC) wine shipments. This puts Minnesota’s wineries and retailers at a competitive disadvantage to out of state wineries and wine clubs. Minnesota is one of only 6 states in the nation that do not require licensing and reporting of out-of-state wines that are shipped in. The remaining 35 states require it. 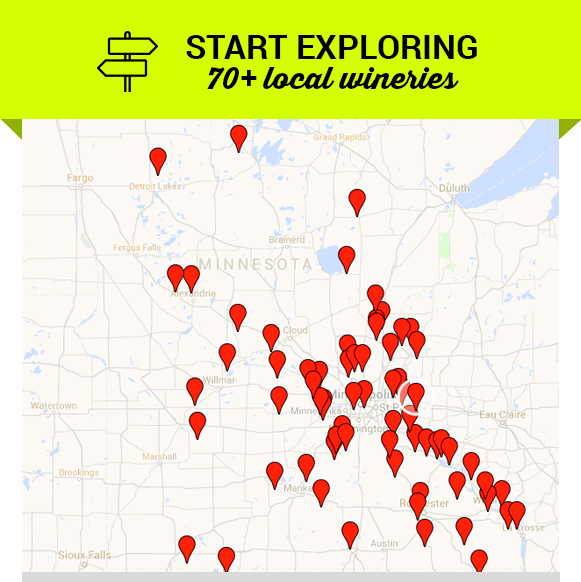 As a result, Minnesota’s wineries face a disparity of funding desperately needed to allow them to compete with others in the Midwest and the Nation. 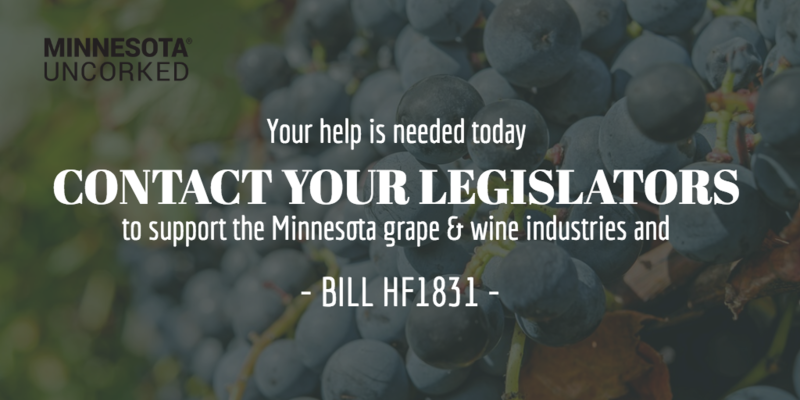 Bill HF1831 would tax DTC wine shipments into Minnesota and direct the funds to the Minnesota Department of Agriculture, for the establishment of a “Minnesota Grape and Wine Council”. This wine council will be charged with promotion, education and development of the grape and wine industry through grants and promotional programs. The economic impact of Minnesota grape and wine industry is approximately $80 million dollars. Compare to Missouri, who taxes DTC shipments and has an established Grape and Wine Council, the economic impact is $1.7 billion. Much of Missouri’s economic impact is based off of secondary and tertiary business indirectly related to the wineries, such as the hospitality and tourism businesses. When wine regions within a state start to develop, hotels, restaurants, entertainment, gas stations and other tourism related business thrive as well. As wineries grow, they become more dependent on retailers to sell their products which benefits municipals around the state. When wineries grow there is a need for more vineyards. Growth in vineyards help drive growth in farm supply business around the state as well as rural labor. 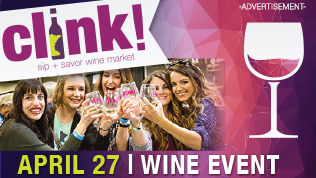 Currently Minnesota wine accounts for less than 1% of the wine consumed in the state compared to Missouri (11%) and Michigan (12%) — both of whom have established Wine Councils. It’s time to close the loopholes so that Minnesota can compete with other states in the Midwest and the nation.